Many of us have seen the viral video of the brown mama bear and cub that was recorded by a drone around one of Russia’s snowy mountain slopes. While it has raised concerns that such drones may be disrupting the wildlife, there are ways that drones can be used appropriately to help ensure the wellbeing of animals. The government of Niger has recently commissioned the drone surveillance for use in monitoring the status of endangered animals in the Termit and Tin Toumma reserve. With the help of the French conservation group Noe, Niger hopes to maintain a close eye on the animals that are at imminent risk of extinction. The Termit and Tin Toumma reserve is a 100,000 square-kilometer park located in southeastern Niger. It includes the entire Termit Massif and Tin Toumma desert and is one of the largest reserves in Africa. It was formally established in March 2012 as a protected area, and it is home to over 30 species of mammals and 150 species of birds. These species include many that have been categorized as “vulnerable,” meaning they are likely to become being endangered. The following species have already been categorized as critically endangered by the International Union for Conservation of Nature (IUCN). The Saharan addax antelope is a native North African mammal that was once partially domesticated in Egypt. It is now very rarely seen in its natural habitat, with likely fewer than 100 individuals existing on unprotected land. There are around 300 in the Termit and Tin Toumma reserve, which makes it the only self-sustaining population in the world. A total of about 600 Saharan addax antelopes can be found in zoos around the world, which may be helpful in restoring the overall population. 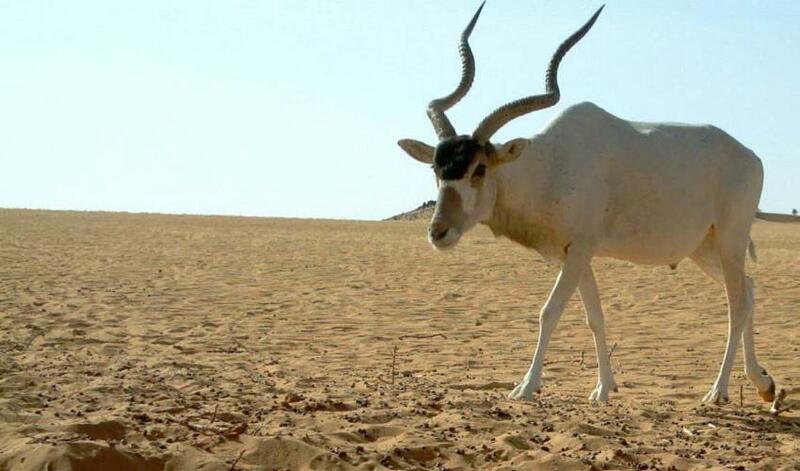 The threat of extinction of the Saharan addax antelope is partially attributed to unregulated hunting and poaching. Because of their slow pace, the Saharan addax antelope is easy prey for lions, cheetahs, leopards, and of course, humans. The antelope’s endangered status is also attributed to habitat loss caused by the oil industry, which has been destroying the land that the antelope forages on. 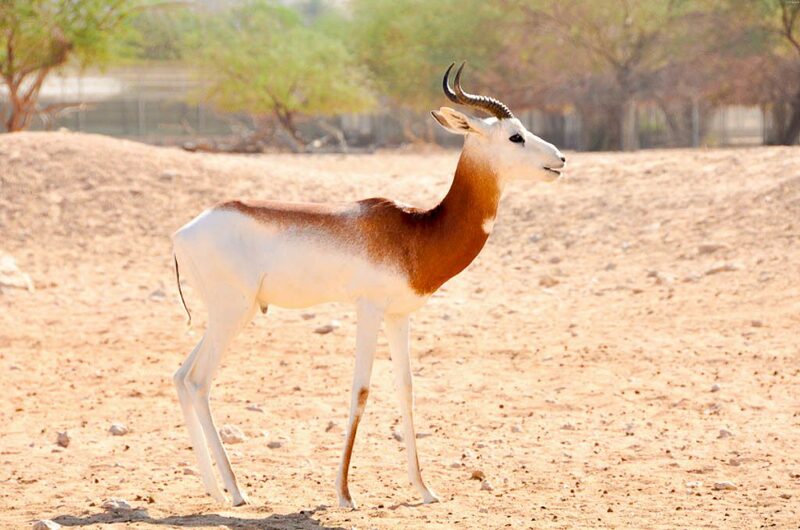 The dama gazelle is a sub-species of gazelle that has become the national symbol of Niger. Found predominantly in the Sahara and the Sahel region, the dama gazelle has evolved to survive in extreme desert conditions. It has exceptionally long legs to give it the extra surface area it needs to dissipate heat, and it can sustain itself for a moderate amount of time without drinking water. Unlike many desert animals, however, the dama gazelle cannot go for extremely long periods without water, and it is most active during the day. There are currently fewer than 250 mature dama gazelles in the world. Their endangerment is due to overhunting, poaching, and habitat loss caused by extensive livestock grazing. In addition, what remains of their habitat has been affected by climate change as available sources of drinking water are decreasing. Due to the , this shift in their environment is further reducing their chances of survival. 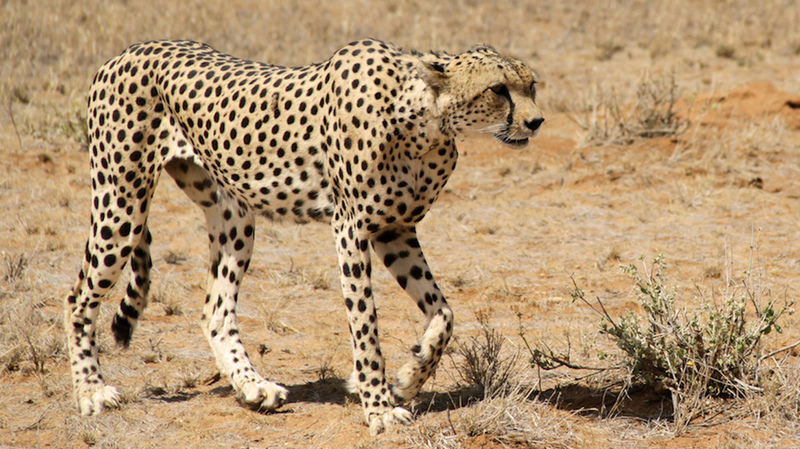 The cheetah is categorized as a vulnerable species by the IUCN, but its Northwest African sub-species is already at the ‘critically endangered’ level. The Saharan cheetah lives in the Sahara and the Sahel region, and is mostly active during the night. It can subsist for long periods without water. As long as it is able to catch fresh mammals, it can get its water from their blood. Its main sources of food are the aforementioned Saharan addax antelope and dama gazelle as well as other mammals found in the area such as other sub-species of gazelles and rabbits. The causes of the Saharan cheetah’s near-extinction include poaching and habitat loss due to the expansion of land for livestock. The fact that many of the mammals that the Saharan cheetah preys upon are becoming extinct as well is also a major contributing factor to its endangerment. It’s believed that there are now fewer than 250 of these cheetahs left in the Sahara. Aside from these species that are deemed critically endangered, there are a number of other species in the Termit and Tin Toumma reserve that have been categorized as vulnerable (the Barbary sheep, Dorcas gazelle, lappet-faced vulture, and the African spurred tortoise) and near threatened (sand cat, and the Nubian bustard). which will ward off poachers and allow for a close count of the endangered species in the reserve over the next 20 years, the Nigerien government hopes to bring these animals back from the brink of extinction and preserve the diversity of African wildlife.